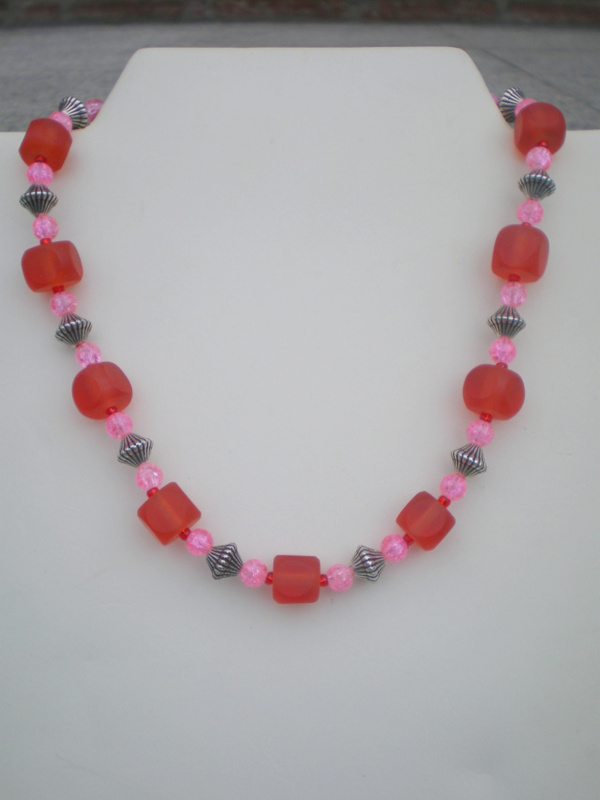 16 3/4″ Long necklace set. 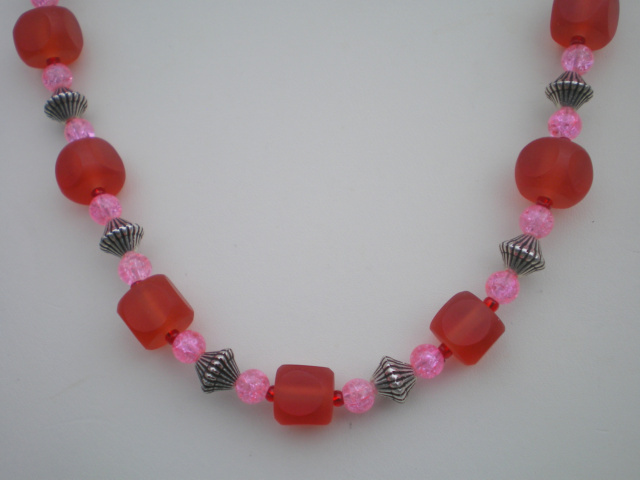 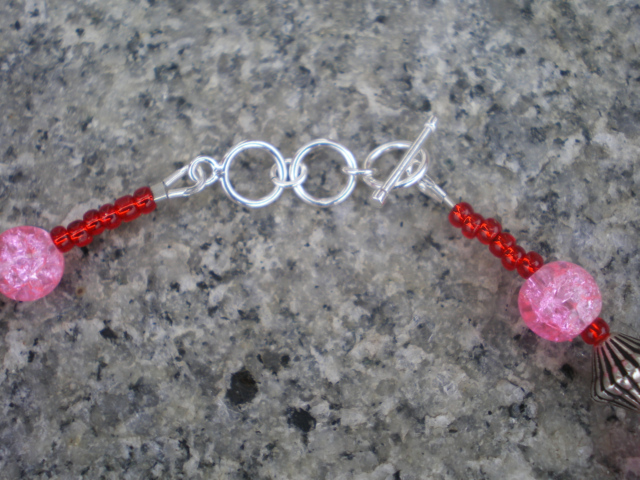 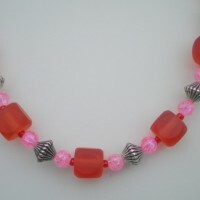 Red resin beads with 6mm and 8mm pink round crackle glass beads, red seed beads and silver metal beads. 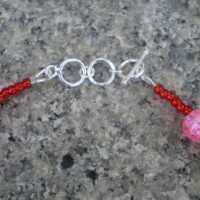 Sterling silver adjustable toggle clasp. 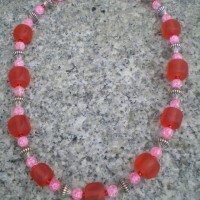 You can adjust smaller to a true choker size. 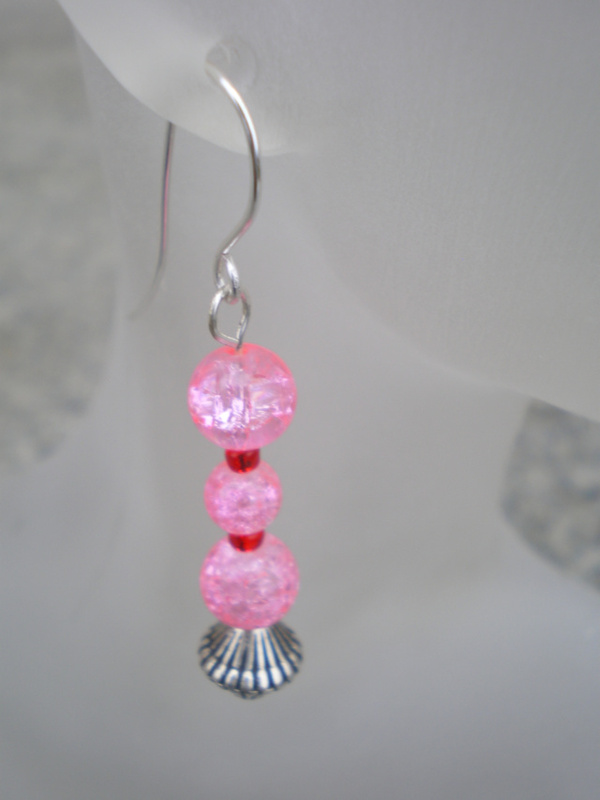 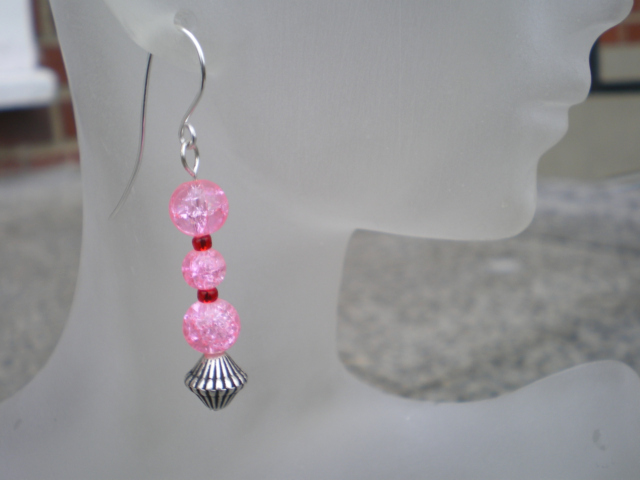 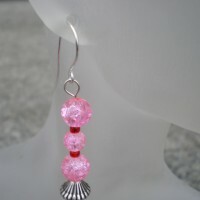 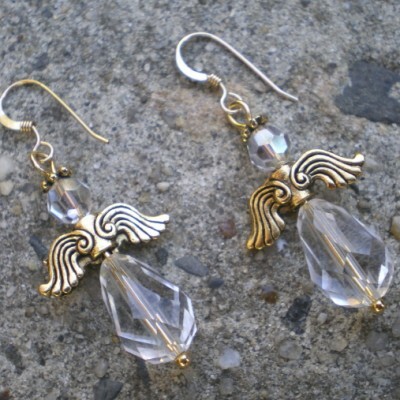 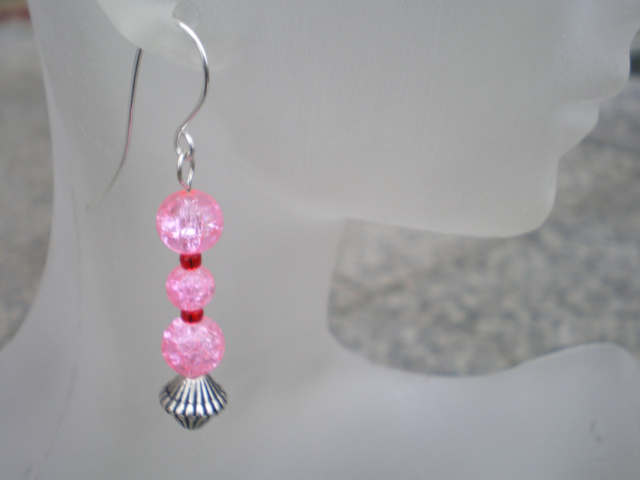 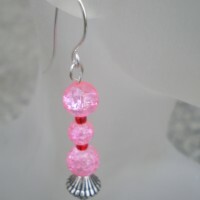 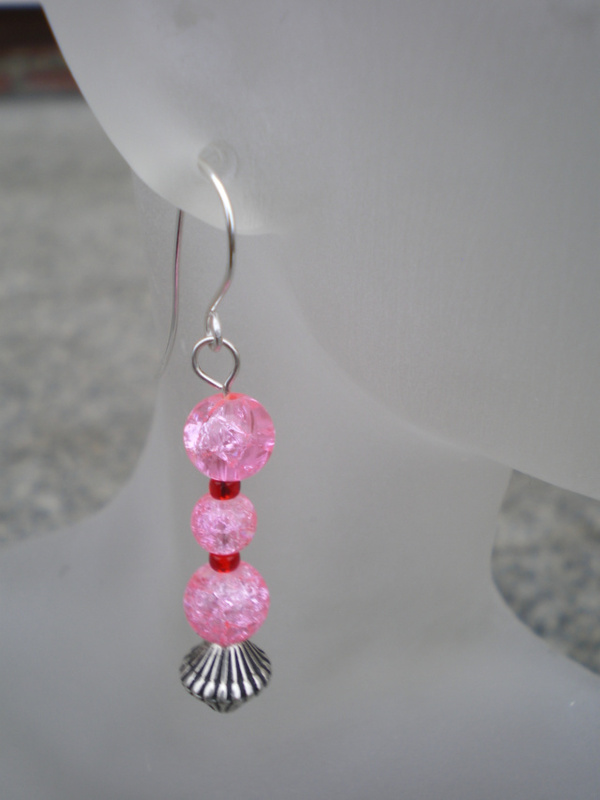 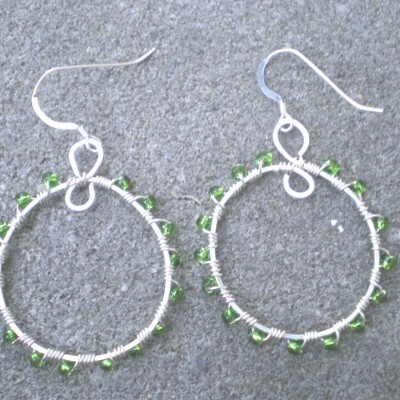 Matching earrings are 2″ long with handmade non-tarnish silver ear wires. 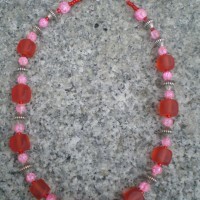 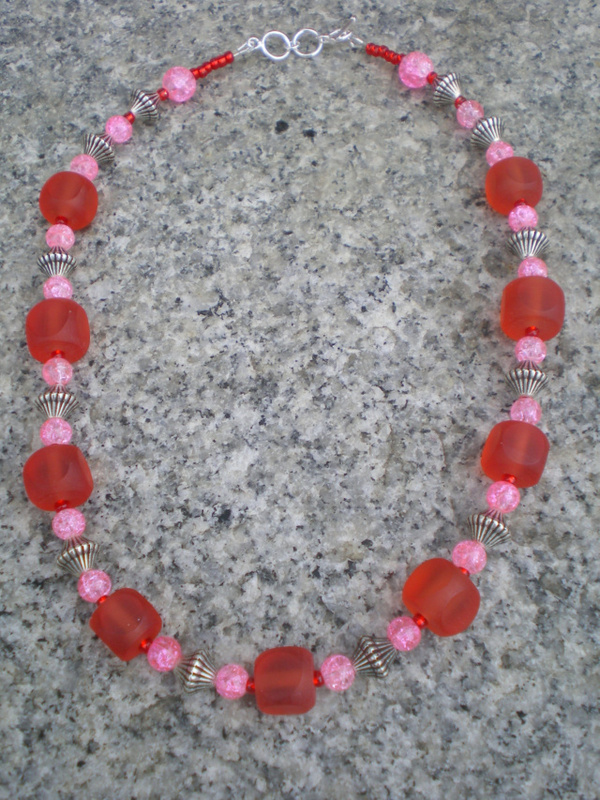 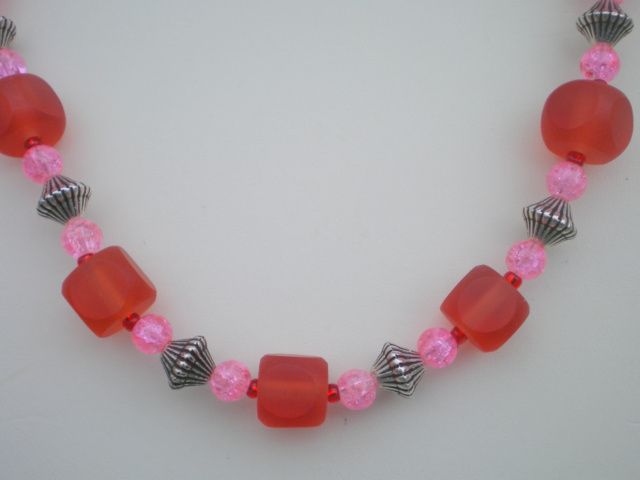 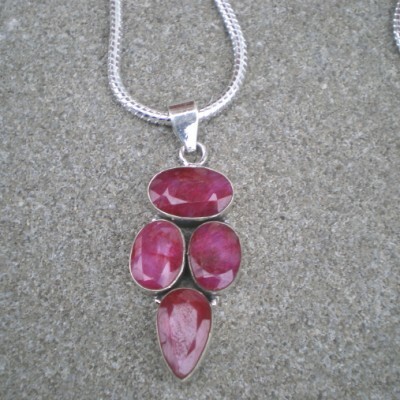 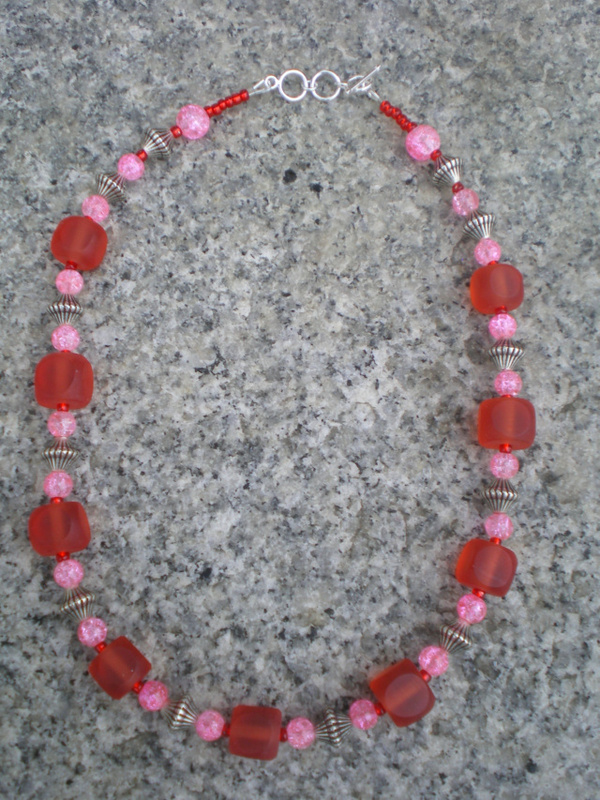 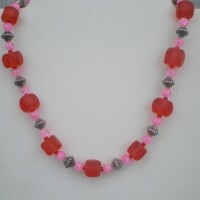 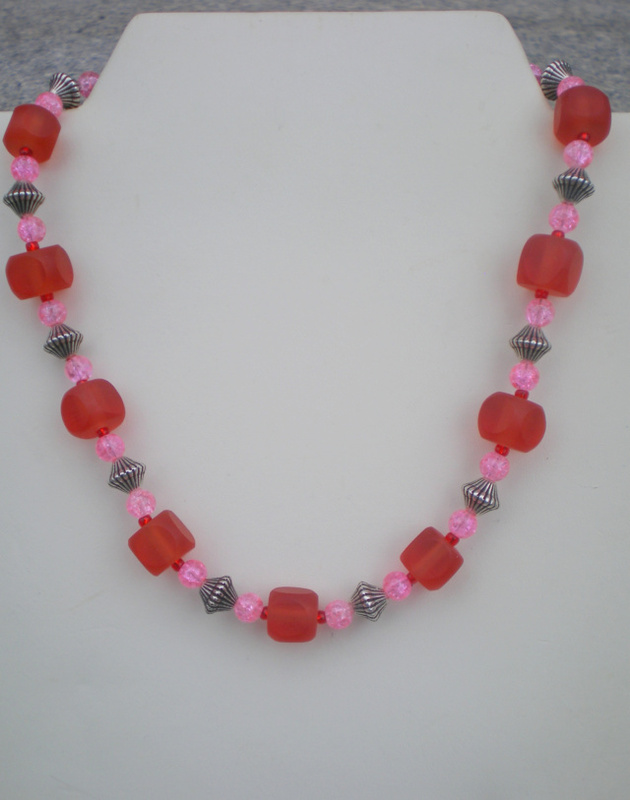 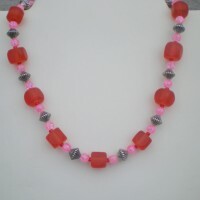 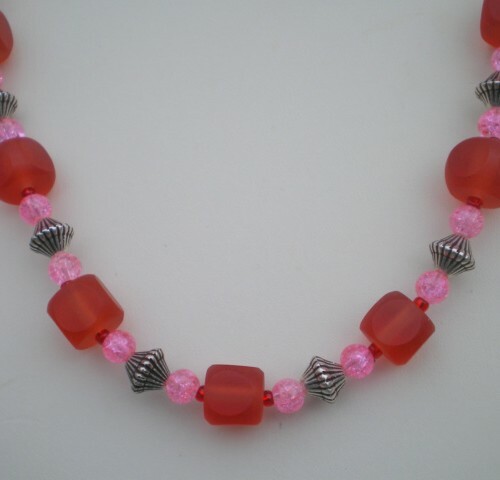 Be the first to review “Red Resin And Crackle Glass Beaded Necklace” Click here to cancel reply.